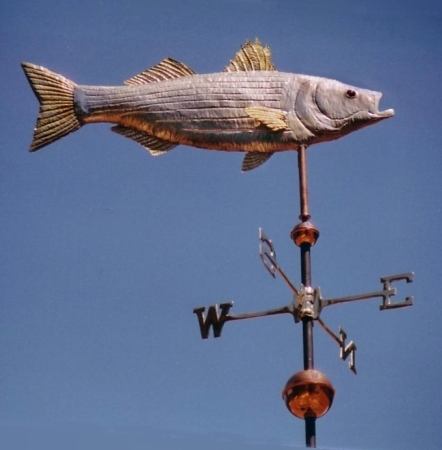 The Striped Bass Weather Vane, Morone saxatilis, featured here was handcrafted with a nickel silver bodied fish accented by brass fins and tail. 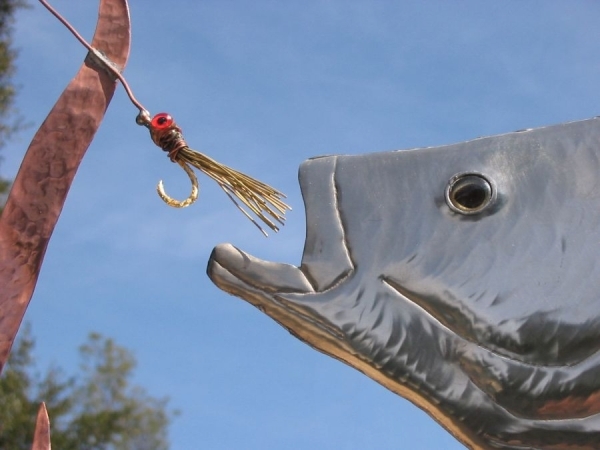 The reeds are crafted in copper and the lure has been optionally gold leafed. Because our vanes are custom made to order, the choice of metals can be modified at the time an order is placed. 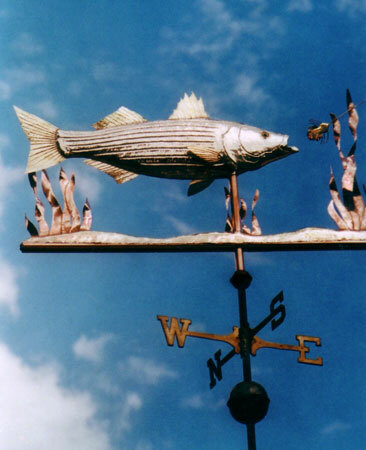 The glass eyes on the weathervane pictured here are brown with black pupils. 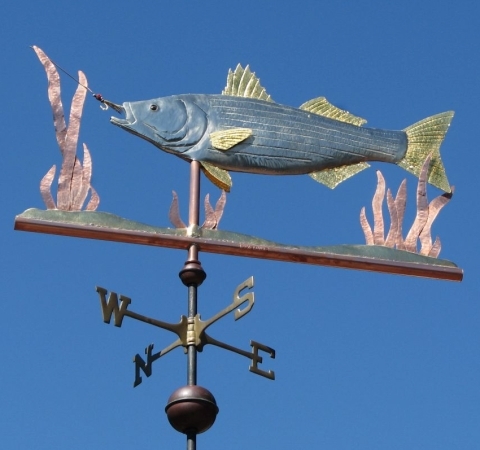 People who order this weather vane get to choose the eye color they want. If you prefer, we can personalize this vane by eliminating the sandy bottom, the grasses and lure in order to make the Striped Bass itself larger. 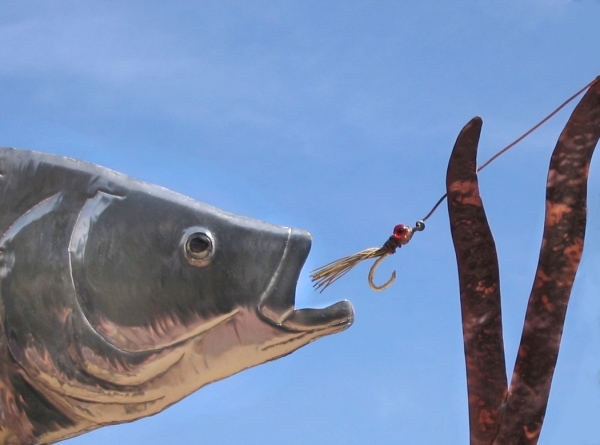 For example, in the Large Striped Bass featured in the photograph above, the overall length of the sculpture is approximately three feet. The Striped Bass itself is about two and a half feet long. If a single fish in the large size, its overall length would be the total three feet. The price would be the same and we can make it either way, depending on your preference.